The UK’s Sam Razavi has finished third in the €1,500 buy in World Poker Tour National China main event in Sanya. The event attracted 542 players including Phil Hellmuth, David Chiu and Johnny Chan. The Blackbelt Poker pro and Asian Poker Tour player of the year rounded off a phenomenal 12 months which saw him win one APT event, finish second in five others and make five further final tables. Razavi said after his $48,101 score, "In China, players peel too much regardless of their hole cards and implied odds which is why I jammed. "Hellmuth was commentating on the final, so I asked him for his thoughts about my exit hand. He said that the Internet kids would definitely do it, but he wouldn’t, although that didn’t mean it was wrong." "I was disappointed not to win as it would have been an unbelievable way to cap off the year, but I’ve had such a big share of the cake that I can’t really be too upset. 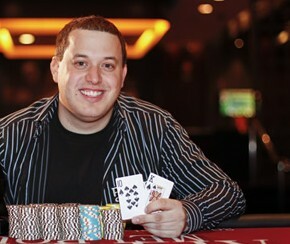 "The top three received a package to the WPT L.A. Poker Classic, so that was a real sweetener."